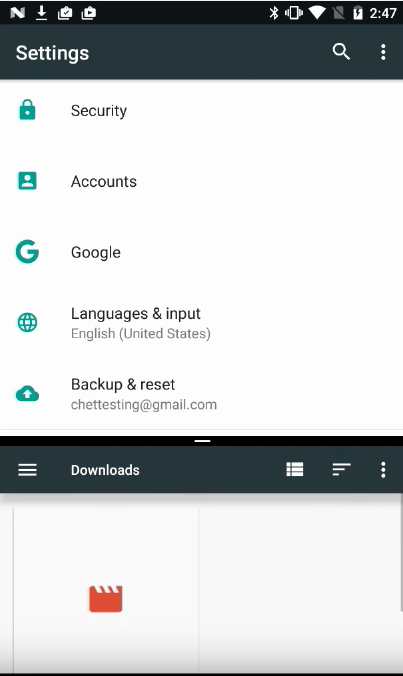 Multi-window is ability to actually have multiple activities on the screen at one time. You can put view side by side or top to bottom. Window manager lets you resize the views by dragging the middle holder. In Android Tv lets users to have activity to play picture-in-picture in some other activities. For example, while you’r navigating on the dashboard you can still enjoy watching videos. 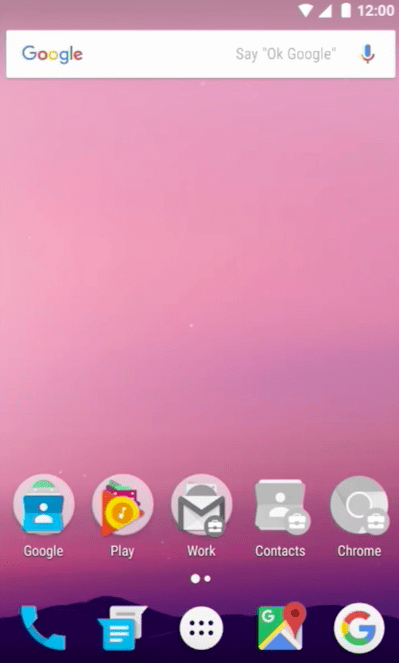 Android N enables you to drag & drop items between different activities. 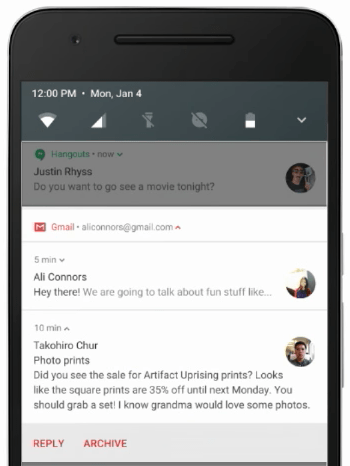 Notifications has new templates so it is easier to understand who sends you message. 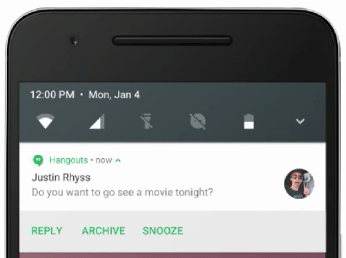 Notifications are bundled in a group. Now you can directly reply within the notification. 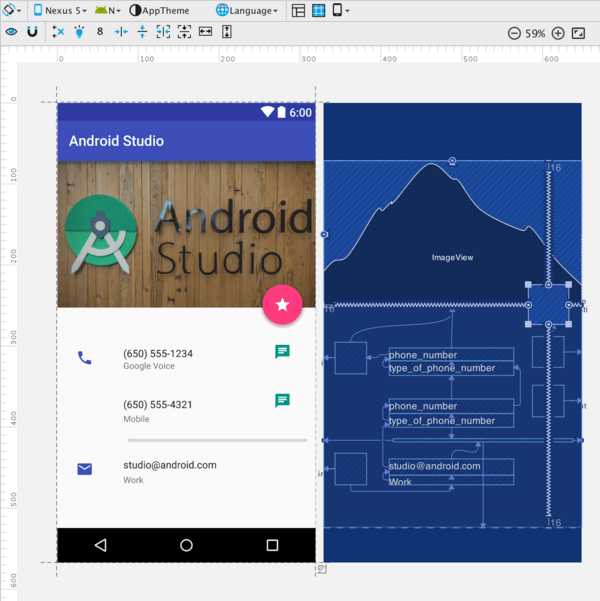 Users now can change the dpi of the device therefore every ui element on the screen will change its size respective to the “dp” units. Previously users only was able to change the text size because of the “sp” units. It supports .85x to 1.45x scaling. It is recommended not to use “px” units. 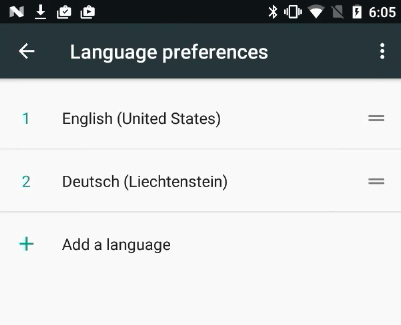 Users can select multiple languages. And also they can be reordered. Added new languages, and variants. 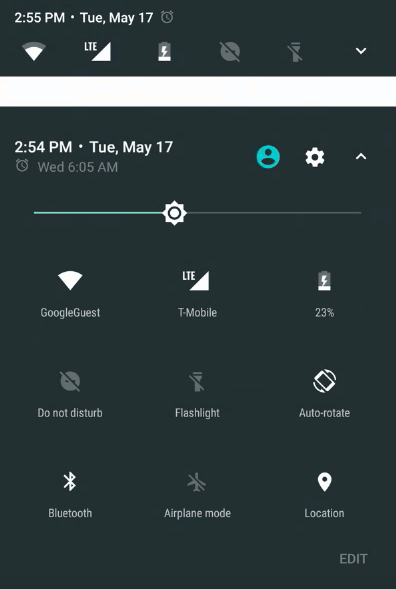 Android Marshmellow 6.0 introduced us the Doze mode which is a battery save mode when the device is inactive and stationary in a while. Android N improves the lighter weight doze mode which kicks in even when the device is not stationary. Android N removes the following broadcasts in order to help optimize both memory use and power consumption. Normally any application can monitor this broadcast about connectivity change, new picture, new video. 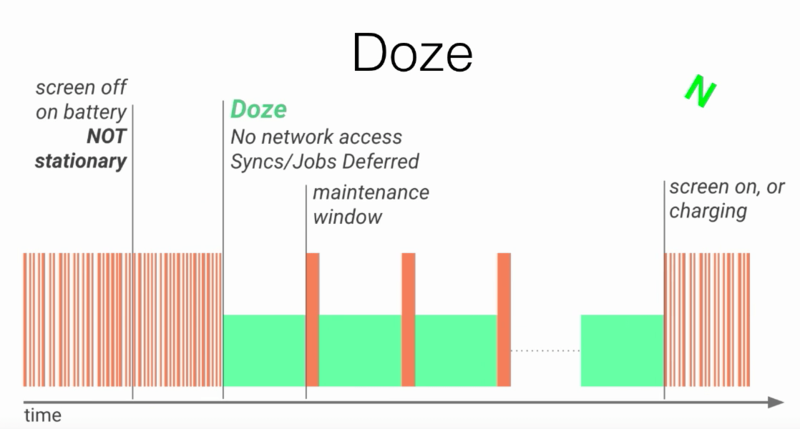 However, when a single change occurs in network connectivity, then all the apps tries to do their work at the same time. 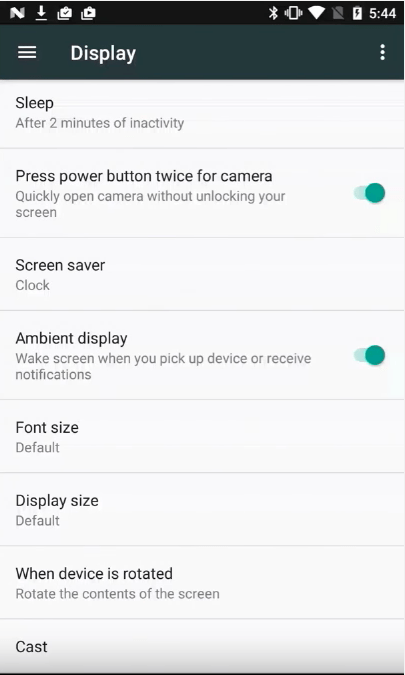 By removing these broadcasts it will help device performance and user experience. It is now possible to restrict the apps’ data access individually. Direct boot improves device startup times and lets registered apps have limited functionality even after an unexpected reboot. 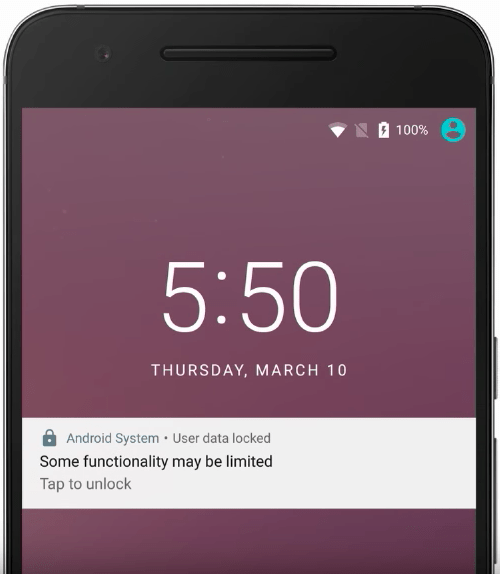 Android N runs in a secure, Direct Boot mode when the device has been powered on but the user has not unlocked the device. 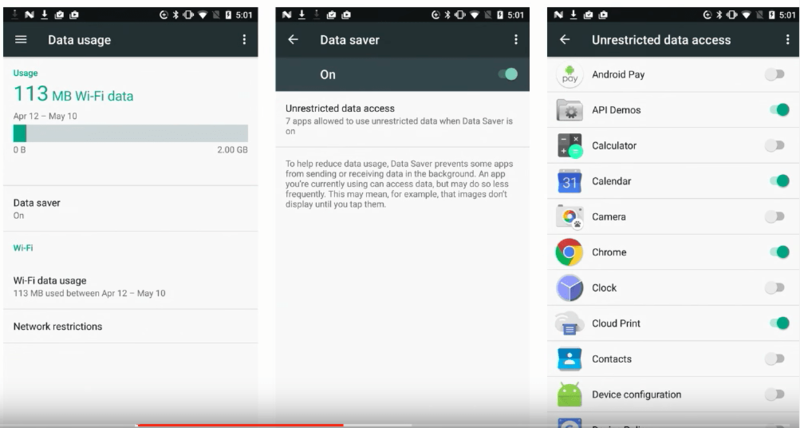 Before Android N, app may request to access to storage completely. Now app can request to access only one directory specifically. 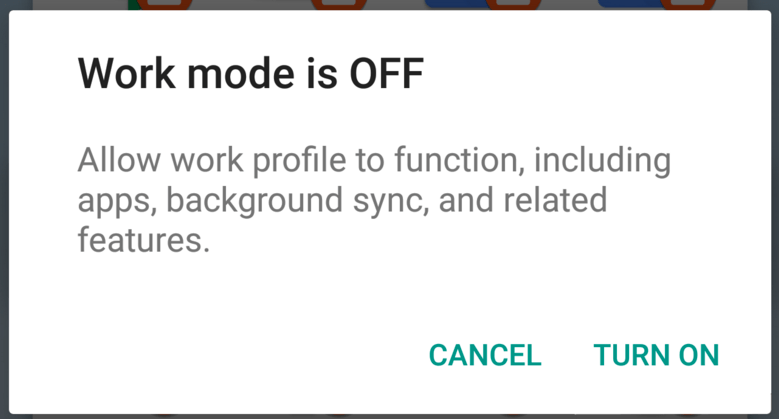 New quick settings added so users may easily be on and off the work mode in Android N. By disabling work mode all of the work mode related apps are also disabled. 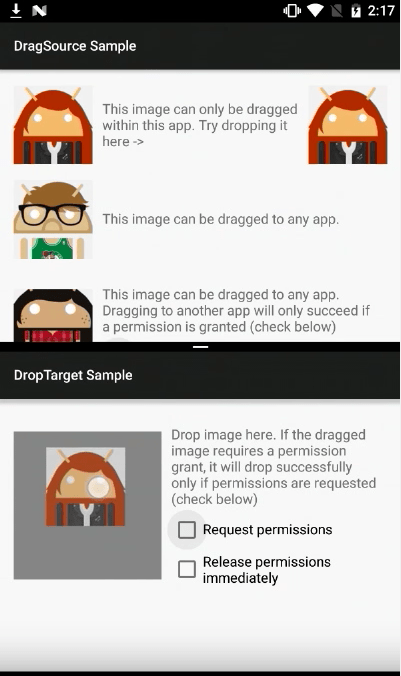 Work profile apps now can now be authenticated when the first time the app is launched not in the lock screen. After the authentication other work profile apps are do not request another authentication.